Kingdoms of the Sky - BUY THIS ON BLU-RAY! 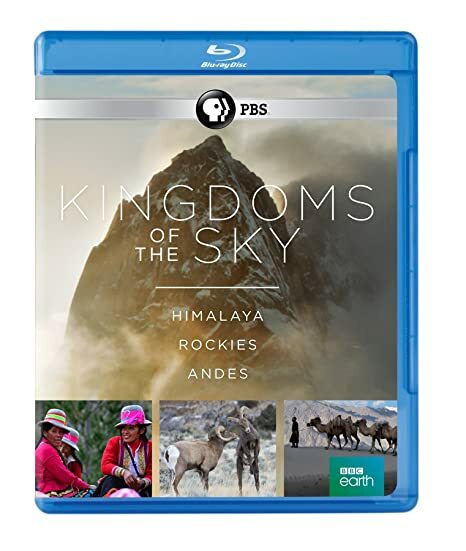 A landmark three-part series made in conjunction with the BBC, Kingdoms of the Sky reveals the extraordinary animals and remarkable people who make a home on the iconic mountain ranges of the world. There is one program each on the Himalaya, Rockies, and Andes. THEN SEND IN YOUR NAME, ADDRESS AND FIVE COMMENTS TO contests@efilmcritic.com orWeLoveHBS@aol.com. (Just one e-mail please.) Put "BECAUSE THEY'RE THERE" in the subject line and cross your fingers. We will draw names and one of the prizes from PBS will be yours. Only 1 entry per household.